In all my years of training, I have never owned a long-term gym membership. While a big part of this is that I have worked in gyms since 1998, it is also because I love training in my home gym. While training at home is not possible for some and not a good fit for others, it can offer some great training advantages - some of which you may know, but others you may not have thought of. Even if you live 10 minutes from your gym, by the time you pack up, get into the car, drive there, park, get into the gym and then repeat the whole process on the way back you could easily lose 30 minutes out of your day. With a home gym, you could complete your entire training session in 30 minutes and get on with other important things in your life. Another cool time-saver with home gym training is that if you are really rushed (e.g. early morning training session), you can pre-set up equipment the night before. Also, if you have to rush off quickly after training, you can always come back later and clean up your weights. While I have some huge regrets with purchases from my young and dumber days (e.g. I'll tell you about my expensive supplement "experiment" in another post), the one thing I am truly thankful for is that I purchased some great home gym equipment. Sure it is a bigger up-front investment, but if you make the right purchases, it can save you a lot of money. Now with a wife, two children and a mortgage to pay, I am extra thankful I don't have a monthly gym membership fees coming out of our account each month. Instead, we have everything we need sitting in our basement for my wife or myself to use any time we want. You also save money not having to buy those over-priced designer workout clothes. Home gyms also are great for parents with young children. My wife and I can slip down to train before the kids wake up in the morning, during afternoon nap time or when I get home from work in the evening. While focus is a challenge, I have still had some good training sessions with my kids in the basement with me if needed. The cool thing about this is that kids learn so much by example. If they grow up watching Mom and Dad train, they think it is a normal thing and will likely adopt an active lifestyle of their own. Many people marvel over the endless variety of machines to use at gyms. While this seems appealing at first, it can hurt your results. What happens is that it is easy to get side-tracked from the basic and most effective exercises while you play on all the shiny new machines. If you are at home and all you have is a barbell, a power rack with a pull-up bar and some adjustable dumbbells, it is harder not to pick the best exercises to build muscle, burn fat and improve performance. With home gym training you can get exactly what you need and no more to distract you. While there can be distractions at home, public gyms offer lots of their own. Music (that is not motivating to you), TV's, juice bars, people hanging out instead of training and people talking on their cell phones make it hard to focus and train intensely. 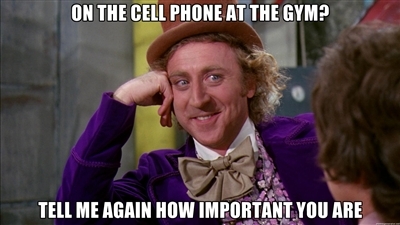 Who wants to try busting out a heavy set of deadlifts while the guy beside you yaks on his cell phone? Most gyms these days target the general fitness market, not the hard-training athlete or the person who wants to look and feel like one (i.e. actually look like they train). Now, I actually think this is a good idea for a gym to cater to one type of clientele. However for athletes and those who want to look and feel like one, it can be difficult to find a gyms that is appropriate for this type of training. Many gyms are devoid of power racks, quality bars and round plates for deadlifting (those non-round plates are dangerous to deadlift with), bumper plates and heavy dumbbells. It also results in rules such as not crashing weights (i.e. no Olympic lifting or heavy deadlifting) and no chalk (an essential part of high-performance training). Some gyms have even outlawed grunting! (Check out this VIDEO for more details).When I train at home, I set the rules. I use chalk when I want, I can train barefoot if I find it helpful and I can crash the weights and grunt (if my girls are not sleeping). Public gyms offer a greater pressure to look good for others. For example, if you are great at bench pressing and bad at overhead pressing, you naturally do the bench press more at a public gym. Training at home lets you focus on eliminating your weak areas and not making ego-driven training decisions. Without trying to sound like I am germ-phobic (msyophobia is the official term if you care to know), I like not sharing bacteria, viruses and sweat with the general public. This is inevitable - even in gyms that are well cleaned. Many people find music helpful to energize them while training. However, research shows that the same music can cause very different emotional responses in different people. If you like to train with music, home gym training allows you to pick the best music for you. Okay, I know everyone is different and not everyone thrives on training at home. If you are happy with your gym and it is working for you - stick with it! Remember that training is all about your well-being and results. Many people have home gym equipment that sits untouched for years. Also, there are some fantastic gyms out there that are an excellent fit for athletes and those who want to look and feel like one. For example, my friend and colleague, Ryan Jobs of Coastal Fitness, is opening up a semi-private training studio. This style of gym offers some tremendous training benefits (more on this to come in future posts). Thanks for the feedback! I hope it helps people as well! Reference - Paul, Benjamin. 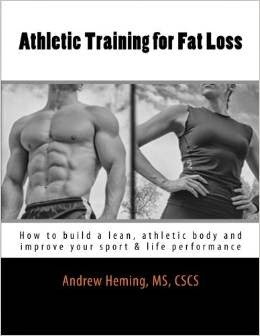 “HGH Weight Loss Clinical Studies.” HGHOfficial.Com, i.e. HGH Official, https://hghofficial.com/weightloss/. Accessed 8 Jan. 2019. Citation - Logan, Paula. “Capsiplex Clinical Studies.” Phenofficial.Com, i.e. PhenOfficial, https://phenofficial.com/reviews/capsiplex/. Accessed 8 Jan. 2019.